Mike Kemper, Executive Vice President Quanta Services’ Oil and Gas Group, joins GSS Board; to serve as Chairman of the EICO Committee. Mike’s leadership as Chairman of the EICO committee will be instrumental in making sure the program meets its commitment of publishing a rating that is fair, transparent and consistent. Gold Shovel Standard, a nonprofit association created to provide a first-of-its-kind excavation safety program, today announced that Mike Kemper has joined the Gold Shovel Standard Board of Directors. Mike Kemper currently serves as Executive Vice President for Quanta Services, Inc.’s Oil and Gas Group. Mr. Kemper previously served as President and CEO of NPL Construction Company and was the co-founder, co-chairman and CEO of the Canadian Utility Construction Company. He serves on the board of the Cross Bore Safety Association and is active in the Distribution Contractors Association, American Gas Association, Canadian Gas Association, the Southern Gas Association among others. 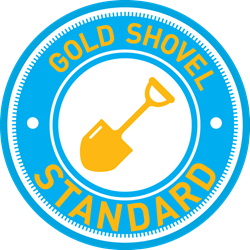 To achieve its goal of dramatically reducing damages to buried infrastructure from excavation, the Gold Shovel Standard certifies an excavator’s policies and procedures against a set of procedures designed to protect underground facilities, known as the Gold Shovel Standard. The association also plans to publish a rating, known as an EICO™ score, which is to be a fair and transparent measure of an excavator’s caution around buried infrastructure. About Gold Shovel Standard – Gold Shovel Standard is a nonprofit association created for the purpose of expanding the Gold Shovel Standard program, to create a North American scale program, driven by industry and underpinned by data technology, to unify excavation safety under a single broadly meaningful professional brand, that dramatically reduces damages over the next decade. Through peer-to-peer collaboration, and by monitoring the performance of excavators across networks and geographies, Gold Shovel Standard is creating the infrastructure to measure how carefully excavation companies operate on a North American scale.